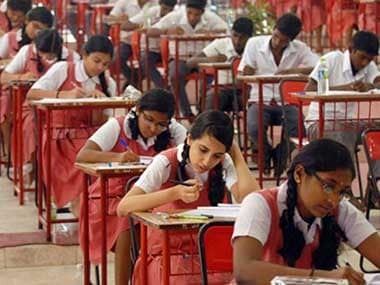 New Delhi: The number of cheating cases reported in the Central Board of Secondary Education (CBSE) Class XII examination this year is more than double the last year's figure. According to a CBSE official, while 56 cases were reported from across the country last year, 119 cases were reported this year. The highest number has been reported from Rajasthan's Ajmer with 54 cheating cases while three cases were reported from the region last year. Delhi saw the number come down from 12 to eight, whereas in Guwahati, the cases increased from nine to 27. The number of cases in Uttar Pradesh's Allahabad has gone down from seven to three while Dehradun's figure jumped from four to nine. Chandigarh's Panchkula also reported eight cheating cases as against four last year. The CBSE officials attribute the higher number of cases to strict measures to check cheating in exams. No cases were reported from Thiruvananthapuram and Bhubaneswar this year and Patna recorded one less cheating case at eight. 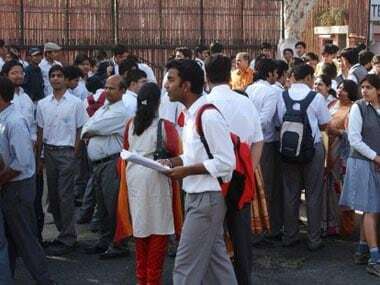 The CBSE had on Sunday announced results for Class XII examination registering a dip of over one percent in pass percentage. Among the 10.2 lakh students who appeared for the exams, 8.37 lakh cleared them, while over one lakh have been placed for the 2017 compartment exams.